The Antique Pro First 700 letterbox is a must! The elegant decoration on the front of a regal crest offers it's own british charm. The flap is protected from moisture and dirt. The Pro First 700 is avaialble in Black, Red, White and Antique. 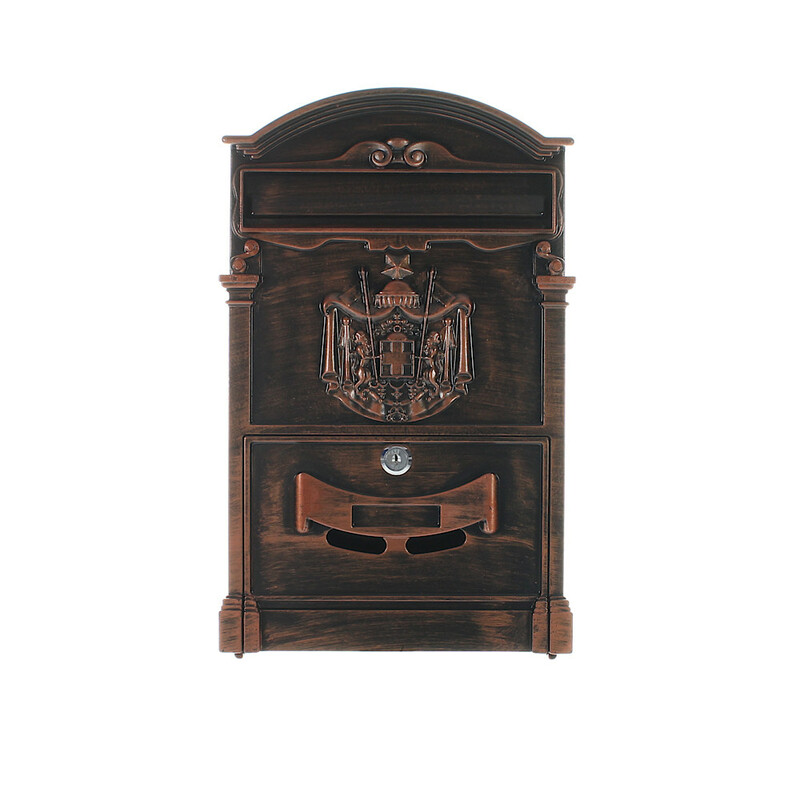 The Antique Pro First 700 Mailbox is a special piece! On the front is a stylish regal crest, offering a traditional british charm. This mailbox can be easily mounted via the fixings provided.